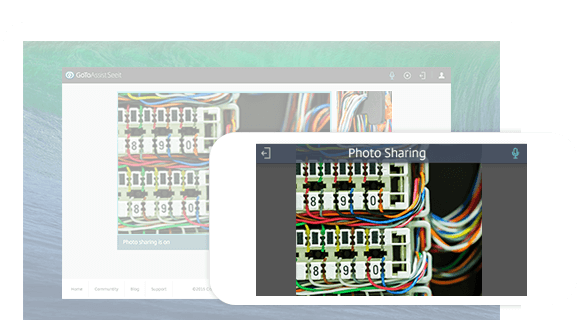 Share your photos with customers easily from the thumbnail gallery. You don’t need to click away to find the photos you took. They are all quickly downloaded from the customer’s device and shown as thumbnails next to the live video. You can then scroll through the set and select which you want to talk about with your customer. 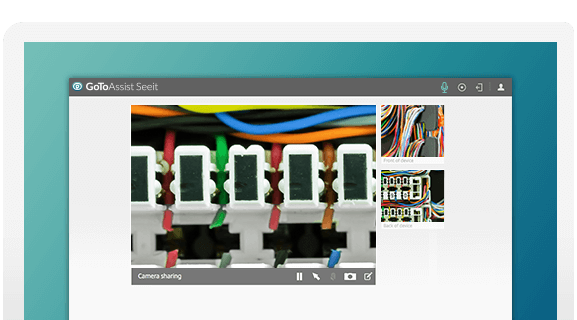 GoToAssist Seeit is all about live camera streaming, but still images are incredibly helpful too. Once you’ve captured the shots you need, you can share one after another with your customers to walk them through what’s wrong and what they need to do next. Take the gallery to go. After you finish a session, your photos are available for 72 hours from GoToAssist Seeit. You can easily download the entire set on the post-session page. You’ll also get an email with a link to the session data, including any notes you made on the snapshots.